Are you looking for a high-quality, family-friendly, patient-focused dentist? Local Mission Hills dentist, Marcus Ortega, offers excellent comprehensive dental care to patients in and around Mission Hills. Our dental practice provides patients with exceptional oral care through cosmetic dentistry, sedation dentistry, and emergency dental care, and other procedures that are sure to help you achieve your best smile. COSMETIC DENTISTRY | Dr. Marcus Ortega wants to help you attain the smile of your dreams. To achieve this, this dentist near Mission Hills offers patients access to quality cosmetic dentistry options such as teeth whitening, straightening with invisible braces, or porcelain veneers. Each of these cosmetic dentistry practices is sure to whiten, straighten, and strengthen your teeth. Many improvements can be made with a few easy trips to our office. SEDATION DENTISTRY | Patients coming to see Dr. Ortega for any dental procedure don’t have to worry about fear or anxiety getting the better of them. Our office offers sedation dentistry options to any and all of our patients who experience anxiety over visiting the dentist. With these safe and relaxing sedation techniques, you can keep your dental appointments, stay stress-free, and attain your best and brightest smile in no time. 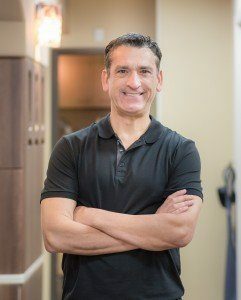 If you’re searching for a family-friendly, highly-skilled dentist near Mission Hills, Dr. Marcus Ortega is the dentist for you. Take the first step to achieving your best and brightest smile today by giving our office a call and setting up an appointment! You can also text us or contact us using the form on this page.